VIM Airlines continues to expand its widebody fleet. The Russian operator has reported taking delivery of a second Boeing 777-300ER long-range twin-aisle airliner with a twin-class cabin layout. The first revenue flight will be performed from the airline’s base airport Domodedovo. Adding another 777 to its fleet will help the carrier cope with its intensive summer schedule this year. According to open sources, the new airliner, VP-BSF, is 15 years old and was previously operated by Emirates Airlines. 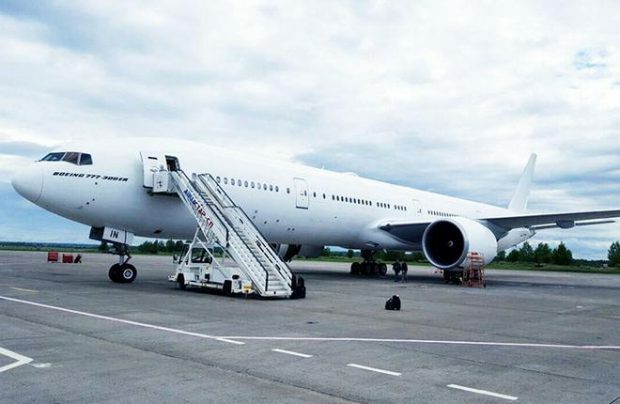 VIM Airlines received its previous 777-300ER in early summer. The aircraft, which seats 428 passengers, was also previously in service with Emirates. The carrier also operates 11 smaller-capacity Boeing 777-200 widebodies. Future plans include adding more 777s to expand its fleet. According to the Federal Air Transport Agency, the VIM Airlines fleet also includes Airbus A319s, Boeing 737-500s and 757-200 (which are now being phased out), 767-300s, and A330-200. Thanks to the fleet expansion effort the airline’s passenger traffic grew by 38% in the first half of the year to 1.04 million, earning it 10th position among Russia’s largest operators.